JUNE 9--The star of a new NBC reality TV series had his military career derailed after he drunkenly groped the breasts of a Navy officer after barging uninvited into the woman's dormitory room early one morning, The Smoking Gun has learned. 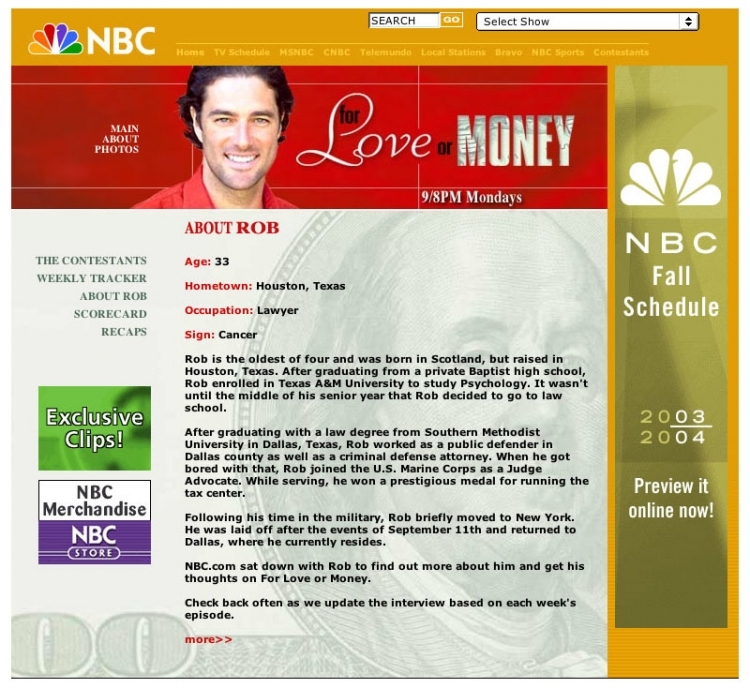 Rob Campos, the 33-year-old attorney starring in the program "For Love or Money," was headed for a career in the Marine Corps Judge Advocate General (JAG) unit when the drunken escapade occurred in mid-1999 at the Newport Naval Station in Rhode Island. As a result, Campos was expelled from the JAG training program, slapped with an administrative punishment, and ordered to enroll in a substance abuse treatment program. The incident effectively ended his military career--Campos was subsequently allowed to leave the Marine Corps 20 months before his service commitment expired, a truncated tenure that apparently did not bother military commanders. In a reflection of his damaged goods status, Campos left the Marines having never been promoted from his original rank as a lowly second lieutenant. According to an NBC spokesperson and Bruce Nash, executive producer of "For Love or Money," Campos did not disclose to them his checkered military career. In fact, after TSG contacted Nash Friday and gave him a brief outline of our story, he directed private investigator Mike Miller, who conducted detailed "For Love or Money" background checks, to contact Campos. According to Miller, when he asked Campos whether there was anything irregular about his JAG service, Campos answered, "Absolutely nothing. Nothing. Nothing." During a brief interview Friday afternoon, Campos said he did not disclose the incident because, "I thought it was a private matter. I thought it was over." And, he surely would have realized, disclosing the incident would have precluded him from being tabbed for the role of the hunky, desirable bachelor. It's a safe bet that NBC would have blanched at casting him opposite female contestants who would have been entitled to know about the chink in Prince Charming's armor. Despite Campos being booted from JAG school, his online NBC biography states that he "joined the U.S. Marine Corps as a Judge Advocate." 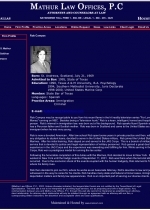 And his bio on the web site of the Dallas law firm where he works is more misleading: Campos claims that after "his initial training, Rob stayed on and served in the JAG Corps...Rob gained a great deal of experience in the JAG Corps and the experience was rewarding and fulfilling for him." 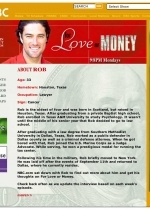 "For Love or Money," which debuted June 2 to strong ratings, features Campos and 15 women angling to be selected by the bachelor as his future mate. The show's twist--of which Campos was not apprised while recently filming the series--involves the winner being asked to choose between continuing her relationship with Campos--or walking away from him for $1 million. At the conclusion of the reality show's premiere, a preview of tonight's episode included shots of Campos cavorting, drink in hand, in a pool with several contestants. The promo then cuts to footage of some of the women complaining bitterly about Campos. He is then seen apologizing for his behavior. 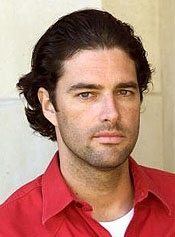 While the teaser does not further explain what Campos did, Nash said the tipsy bachelor placed his boot on a contestant's rear and then gave the woman a push. But don't be surprised if that little boozy vignette somehow magically gets edited out of this evening's program. 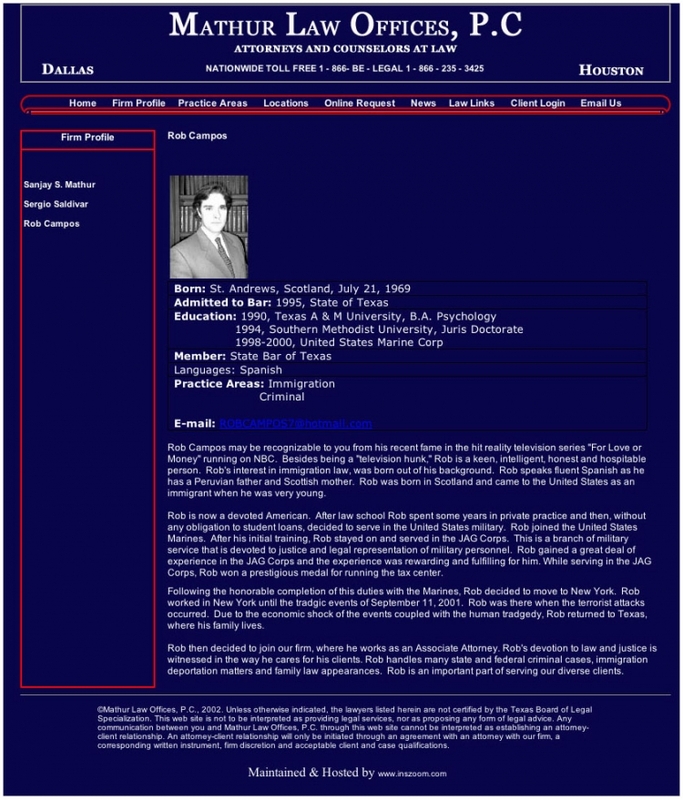 The defining moment of Luis Roberto Campos's Marine tenure came in early-June 1999 at the Navy Justice School in Newport, Rhode Island. After graduating law school in 1994, Campos spent several years in private practice before entering the Marine Corps Officer Candidate School in June 1998. As part of the training program, Campos traveled to Newport for the 10-week JAG program. Three weeks into JAG school, Campos's Marine Corps career came unhinged. What follows is an account of the groping incident, based on interviews with the female Navy officer involved, Marine Corps records, and interviews with other sources familiar with aspects of the incident. The woman, who spoke on the condition of anonymity, remains in the Navy's JAG unit. She did not contact TSG. Instead, we tracked her down after another source provided her first name and military branch affiliation. "The whole process was quite uncomfortable for me," the woman recalled, noting that she did not report the matter to military police. But when word of the incident began filtering through the naval base (and the 30-student JAG class), she was approached and interviewed by Naval Criminal Investigative Service (NCIS) agents. Though she refers to Campos as "that big jerk, that big meathead" the Navy officer told TSG that Campos was the incident's real victim, since his "stupid and drunk" behavior resulted in irreparable damage to his own military career. According to the woman, she was asleep in her barracks when she heard a knock at the door. Assuming that it may have been a locked-out suitemate, she got out of bed and opened the door, without asking who was there. "I was on a naval base," she explained. "I wasn't worried about my safety." When she opened the door, Campos rushed in, closing the door behind him. While the woman knew Campos, who lived on a different floor of the building, she did not socialize with him. Once inside the room, Campos advanced on the woman, then 27, and began grabbing her breasts. As she grappled with him, the 5' 4" woman drove a knee into the strapping Marine's groin, which dropped Campos to the floor. "Then I bolted out of the door," the woman said, adding that her clothes were not torn during the tussle. After picking himself up, Campos proceeded to the woman's bathroom, where he vomited all over it. After the woman was interviewed by NCIS agents, Campos, then nearly 30, was immediately yanked from the JAG course, seven weeks before the program's completion. When confronted by military brass, Campos explained that he was inebriated and could not recall what transpired in the woman's bedroom. While he repeated this claim in a brief TSG interview, the onset of Campos's drunken amnesia that night seemed to coincide with his knuckles rapping on the woman's door. Because he told us, "She was making advances toward me. I did phone her and she gave me directions to her room." Campos recalled arriving there around midnight, but then, conveniently, everything goes black. He just can't recall the groping. Or the knee being driven into his testicles. Or the spewing that followed. These were all messy details lost in his inebriated fog. But that didn't stop Rob from floating a classy piece of speculation on the night's events: "My buddies said she got angry because I was too drunk to get it up," Campos told TSG. This from a guy whose bio modestly describes him as "keen, intelligent, honest and hospitable." Considering the damage this scorned Jezebel wrought, Campos surely filed a complaint (administrative or civil) against the officer, since her fabrications were a violation of the military code of honor, right? No, he didn't, Campos acknowledged. His "I was too drunk to remember anything" explanation was not a particularly strong defense. In mid-July 1999, Campos was formally disciplined (via what the Marines call a "non-judicial punishment") for the groping incident and shipped off to a logistics base in Albany, Georgia, where he was ordered to undergo substance abuse treatment. When we asked him about this counseling, Campos said, "I'm not going to answer that." He then directed us to his former commanding officer, who did not return calls (and who would, in any event, be barred from talking about such confidential personnel matters). While in Georgia, Campos was relegated to serving as coordinator of a unit that helped enlisted personnel and military retirees do their taxes (for which, his bio gushes, he won "a prestigious medal"). While he was sent to backwater Georgia, his former JAG classmates--many of whom had been promoted two ranks--were off in more desirable climes like San Diego or Hawaii. For Campos, it must have felt like a brutal demotion. Hollywood makes TV shows about JAG officers, not Marine tax preparers. As a result of the bruising disciplinary action, Campos's career was mortally wounded, with the possibility being that he would never be promoted beyond the rank of second lieutenant (and that his pay would remain at a low level). According to a Marine Corps spokesman, upon completion of the JAG school program, an officer automatically receives a promotion to first lieutenant. From there, a promotion to captain often occurs within a year of finishing JAG school. That, of course, never happened for Campos, whose official Marine Corps service record includes this notation: "Navy Justice School, Newport RI (not completed)." Campos's military career ended in June 2000, when he was formally "separated" from the Marine Corps. After completing Officer Candidate School in August 1998, Campos would have been obligated to serve an additional 3-1/2 years. But he ended up lasting only 22 months.